After years of "hardship", Muslim women have found a way to free themselves from instant triple talaq, Prime Minister Narendra Modi said today in his first remarks after the bill was passed. 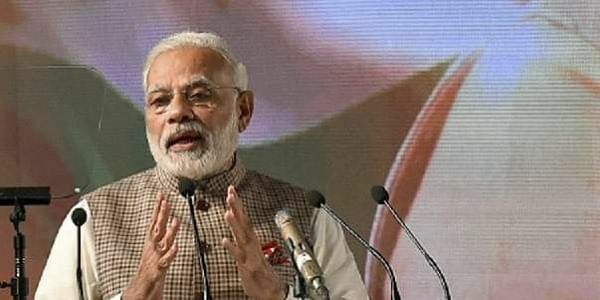 NEW DELHI: After years of "hardship", Muslim women have found a way to free themselves from instant triple talaq, Prime Minister Narendra Modi said today in his first remarks on the issue after a bill to criminalise the practice was passed in the Lok Sabha. He also said that the policy of allowing Muslim women to perform Haj only in the company of a male guardian was "injustice" and discriminatory and his government has removed the restriction following which hundreds of women have applied to travel alone for the pilgrimage. Without referring to the Muslim Women Protection of Rights on Marriage Bill passed by the Lower House last week, Modi said, "The hardship faced by Muslim mothers and sisters over triple talaq is not hidden from anyone. After years of struggle, they have found a way of freeing themselves from (the practice) of instant triple talaq." The bill makes instant triple talaq or 'talaq-e-biddat' illegal and provides for a jail term of up to three years for the husband. The offence has been made cognizable and non- bailable. Women under the draft law can seek subsistence allowance and can claim custody of minor children. A magistrate's court is empowered to decide on the quantum of jail term, amount of fine, subsistence allowance and custody of minor children. He also referred to the issue of Haj pilgrimage by women in his monthly 'Mann ki baat' radio address and said removal of the restriction of having a male guardian or 'mehram' may appear as a "small thing", but such issues "have a far reaching impact on our image as a society". Soon after Modi's address ended, Minority Affairs Minister Mukhtar Abbas Naqvi tweeted that women seeking to travel alone for Haj will be kept out of lottery system and the 1,300, who have applied under the new rules, will be allowed to go for the pilgrimage.